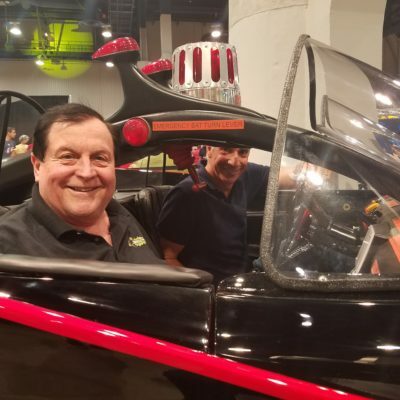 It’s been a while since I’ve given you all an update on the #1 Batmobile’s restoration. 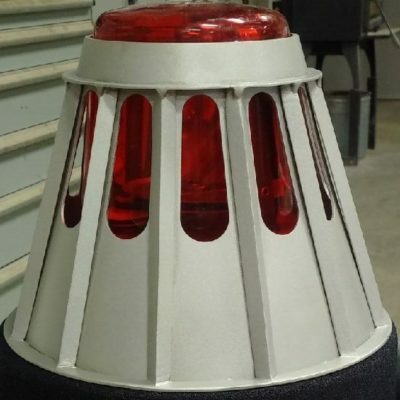 The owner has sent me these updated photos of the restoration. 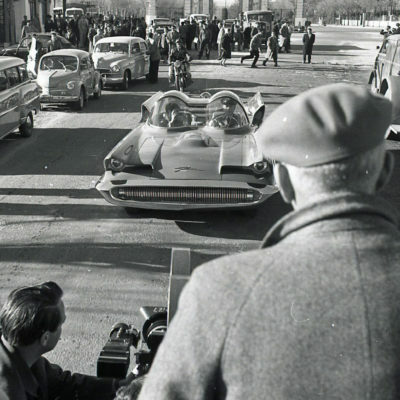 Two behind the scene photos of the Lincoln Futura on-set during filming of “It Started With A Kiss” in 1959. 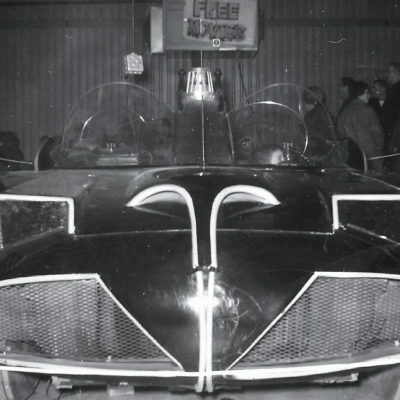 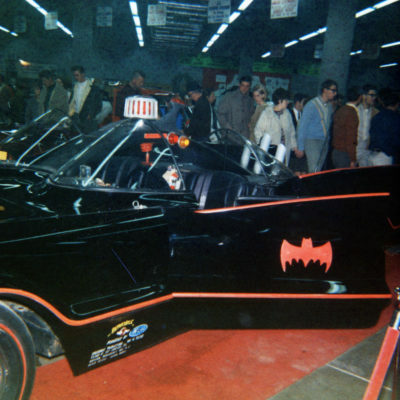 The #5 Batmobile at Dubuque, Iowa Auto Show in 1968, photos courtesy of Matt Stuart Jr.
Burt Ward with the original #4 Batmobile & owner Doug Jackson at the Las Vegas Comic Con on June 24th. 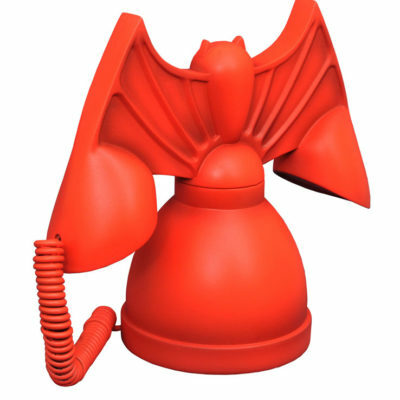 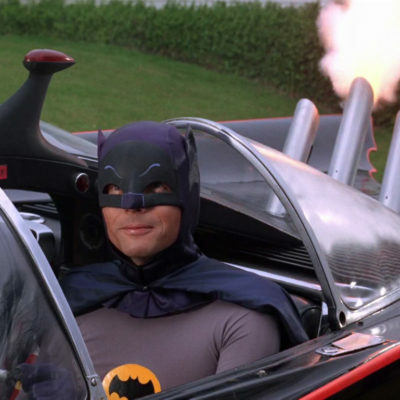 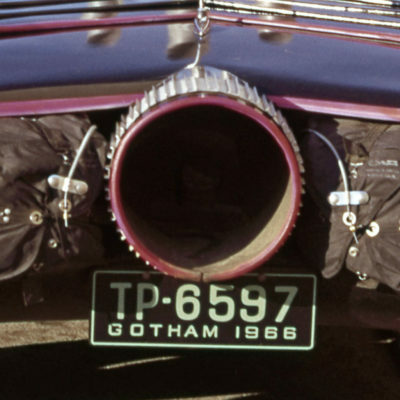 More photos can be seen on the #4 Batmobile page. 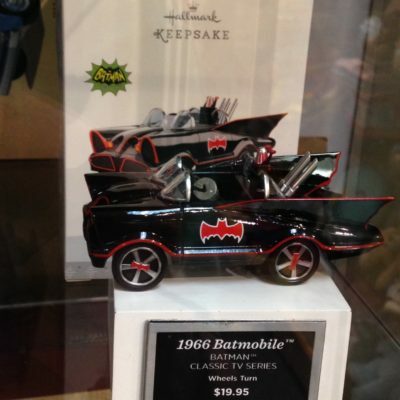 New for 2017, Batmobile Hallmark die-cast metal Christmas tree ornament. 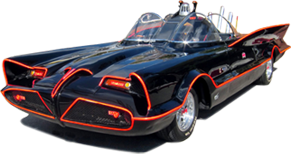 The #1 Batmobile will be wearing a new beacon cage & emergency light to replace the inaccurate one on the car now. 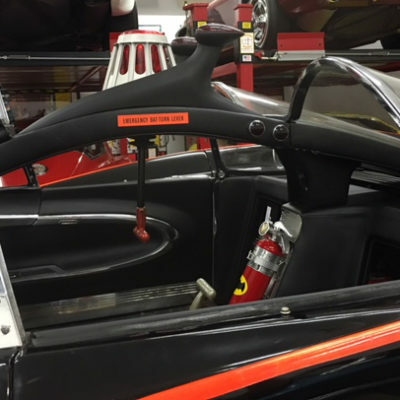 Progress is being made to bring the car back to ’66 period correct.